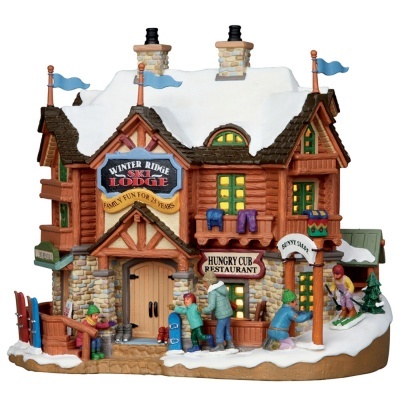 Lemax Winter Ridge Ski Lodge Lighted Building depicts a snow covered family Winter Ski retreat including nursery ski slope for the children. 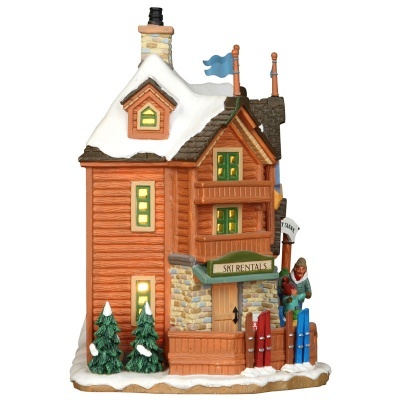 Internally illuminated Winter village miniature table piece, suitable for placement within an alpine snow themed Lemax display. AC Mains adaptable LED lighting with 1.83m length white cable and connected battery unit. Winter Ridge Ski Lodge was a popular addition to the Lemax Vail Village miniatures collection in 2012 and remains to be so. 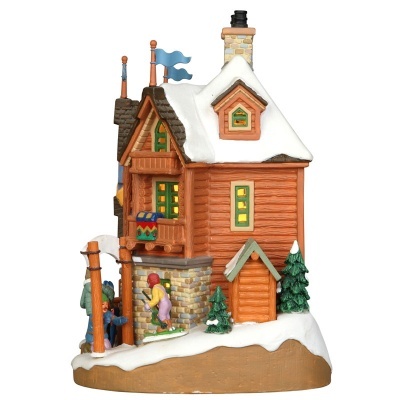 Winter Ridge Ski Lodge is a multi figurine single porcelain hand painted miniature building on a single snowed base.